Lily's Ink Pad: On the Bias: Birthday Wishes! Perfect, right? I wanted to use the Party Animal Designer Washi Tape on a card along with the Birthday Candles Border Punch and this was perfect! I love how easy it is to create awesome cards with a coordinating suite. The Party Animal Designer Series paper Strips were a perfect accent of contrasting colors to use on this card! What a vibrant and colourful take on the sketch! The border punch is fabulous. Thanks for joining us at As You See It. 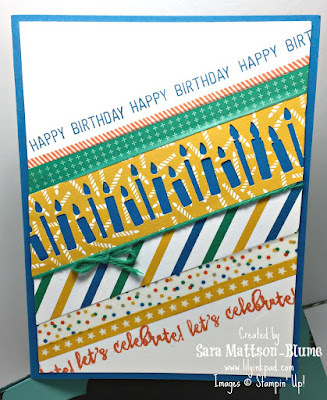 What a perfect opportunity to use that great new birthday candle border punch, Sarah! I love the combination of that with the washi tape, colourful DSP, and those lively sentiments! 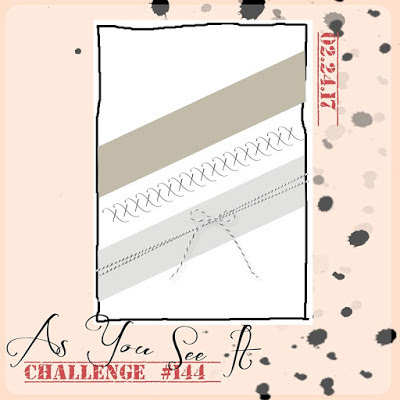 So glad you played along with us this time at As You See It Challenges!